The Barry & Marie Lipman Family Prize at the University of Pennsylvania is an annual global prize that celebrates leadership and innovation among social impact organizations. Each year, one winner receives $125,000, and the two other finalist teams receive $12,500 and profit from partnership opportunities with Wharton and the greater University of Pennsylvania community. Our Center’s founding executive director, Kat Rosqueta, serves on the Prize’s steering committee. Previous winners include iDE, a social enterprise that pioneers innovative, market-based approaches to safe water and sanitation access in poor rural villages, and READ Global, an international non-profit that establishes libraries and resource centers in rural South Asia as vehicles for social and economic transformation. This year’s winner is Breakthrough, a global human rights group working to drive the cultural change necessary to make violence against women unacceptable. 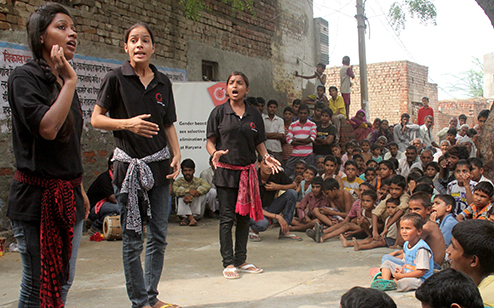 With centers in India and the U.S., Breakthrough uses the power of arts, media, pop culture, and community mobilization to bring the issue of gender-based violence into the mainstream. What makes their media strategy uniquely effective? They involve men. Breakthrough believes that there is no way to bring an end to the vast pandemic of violence against women without involving men in the effort. One of Breakthrough’s multimedia campaigns is the internationally lauded Bell Bajao (“Ring the Bell”) program, which has inspired millions of men and boys in India and beyond to interrupt domestic abuse they encounter in their communities. Ringing the doorbell and asking a simple question can diffuse violence and let an abuser know that others can hear him. Click here to watch a Bell Bajao PSA. Breakthrough has also sponsored several campaigns in the U.S., including the “Be That Guy” PSA, which recently streamed at a NASCAR race. 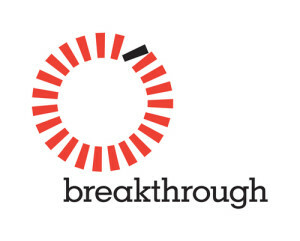 Breakthrough’s efforts go beyond creating media campaigns. They also train a variety of community stakeholders, ranging from youth to government officials, to become leaders that spark change in the treatment of women. To find out more about Breakthrough’s winning model, visit the Lipman Family Prize site. World Malaria Day 2014: Invest in the future. Defeat malaria.